Tioman is accessible by passenger boat services from Mersing/Tg. Gemok in Johor. Mersing, is a bustling town famous for its large fishing fleet while Tg.Gemok is a new jetty used by guests going to Tioman. 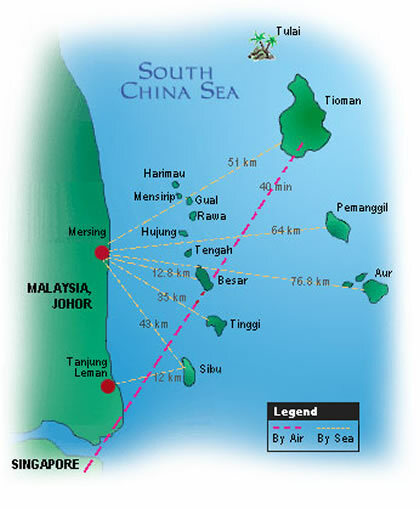 It is also the jumping-off point for travelers bound for any of a large number of islands in the South China Sea . The ferry trip takes approximately one and a half or two hours. Please note that ferry departure schedules are subject to daily weather and tide condition at Mersing. 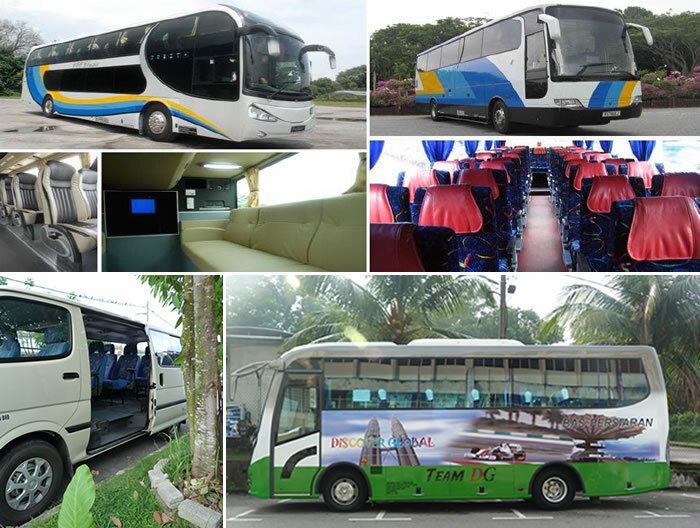 Note: Coach / Ferry schedules are estimated and subjected to daily weather and tide condition at Mersing and Tanjong Gemok. Sailing schedules may be interrupted and/or crossing times extended or changed without notice to you due to adverse weather conditions, tidal conditions, unforeseen operational or technical reasons beyond our control. *Subject to change. Kindly refer coach voucher for details. There are different kinds of medicines that can treat motion sickness. If you are prone to seasick, prepare anti-motion sickness pills which are available at local drugstores. A good tip would be : While at sea, try not to focus on one object because it disturb the co-ordination between your eyes and brains. Try looking around at the beautiful view. Sucking a sweet lemon may also help.